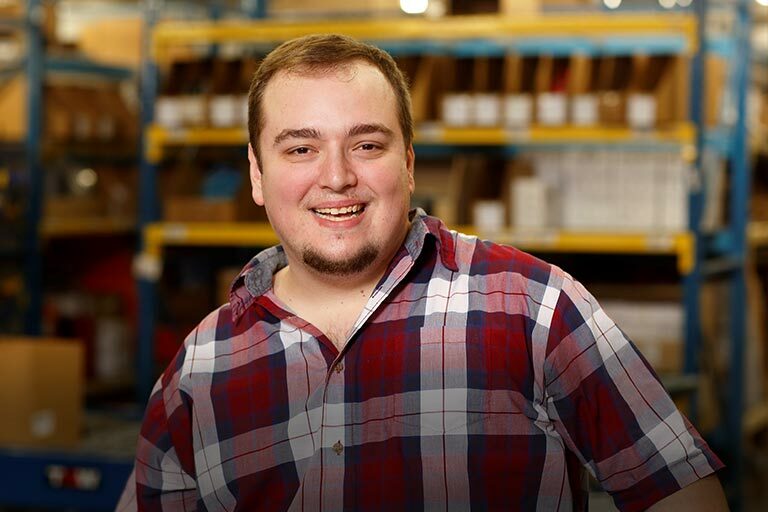 Over the years, Sennheiser has developed a loyal and devoted fanbase thanks to their distinct, well-balanced sound. Over the years, Sennheiser has developed a loyal and devoted fanbase thanks to their distinct, well-balanced sound. And lucky for those of us who love them, they've created headphones for almost every listening situation. 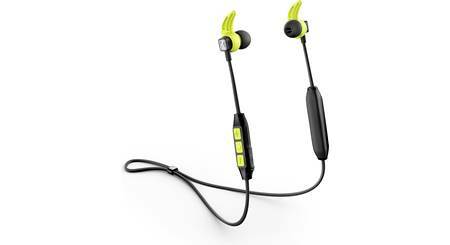 The CX SPORT headphones are the the company's first Bluetooth earbuds made for exercise and running. 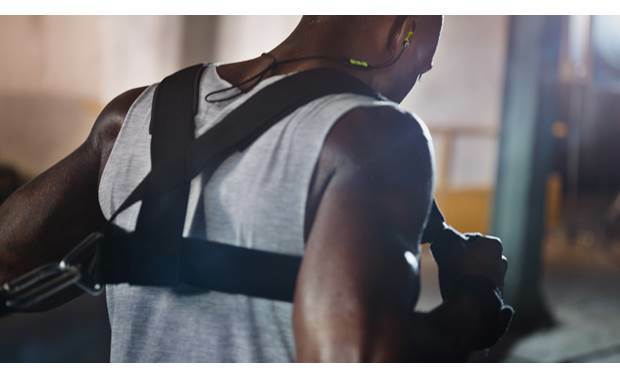 The sweat-proof Sennheiser CX SPORT Bluetooth earbuds fit comfortably and securely. 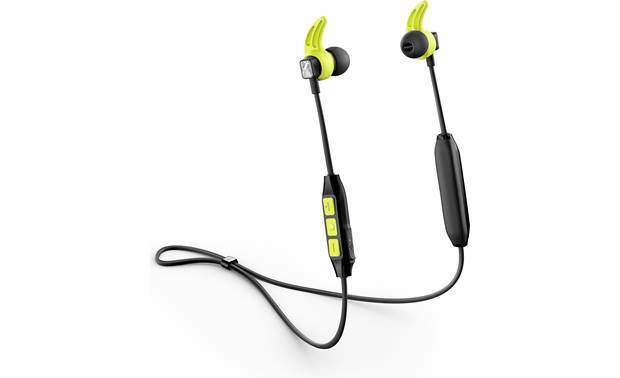 These durable headphones are sweat-proof, highly visible, and feature ear fins that keep them in place while you move. 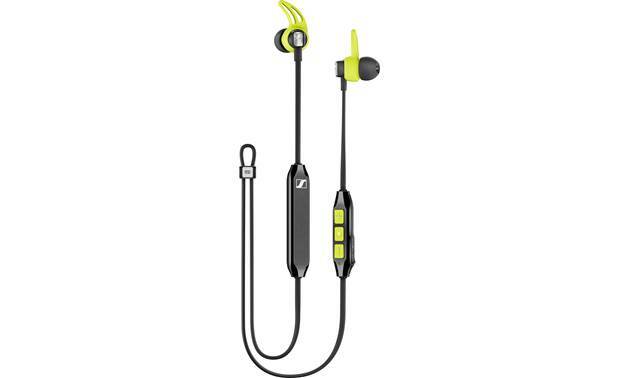 Music plays wirelessly from your phone, and the sound is Sennheiser smooth. They aren't overly bass-heavy like some workout 'phones, and they deliver clear, detailed mids and highs. A sleek connecting cord wraps behind your neck, so it stays out of your way. That's helpful if your out running, because you won't loose an earbud if you happen to knock one loose. 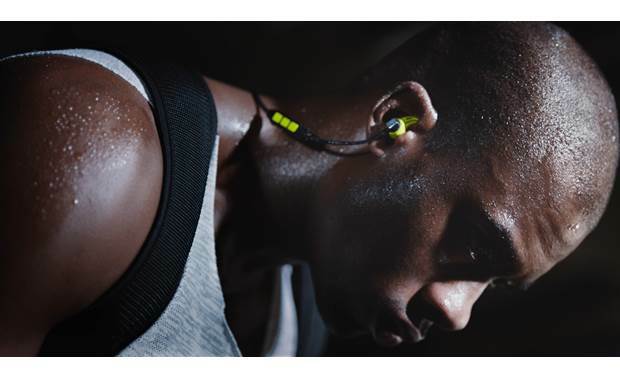 Of course, you'd have to be going extra hard for that to happen with these secure in-ears. The cord also features an in-line remote so you can toggle through songs and adjust volume on the fly. Just keep your phone wherever it normally stays during workouts. You can also answer a call through the headphones (or hit ignore and keep on moving). 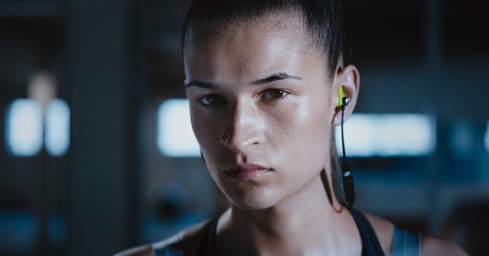 Overview: The Sennheiser CX Sport in-ear wireless headphones are designed for active lifestyles. 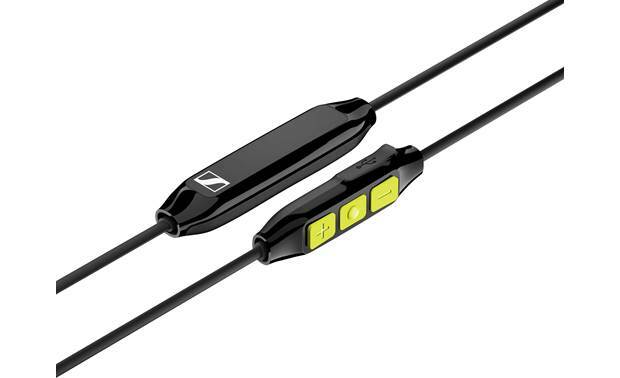 The CX Sport feature Bluetooth 4.2, and allow you to connect wirelessly to up to two devices at once. The headphones have an in-line remote and microphone on its 24" connecting cable for managing phone calls and music playback. The sweat-proof CX Sport comes with four pairs of ear tips and three pairs of ear fins, plus a clothing clip and a neoprene zippered storage pouch. Bluetooth: You can wirelessly connect the CX Sport to Bluetooth devices up to 30 feet away. 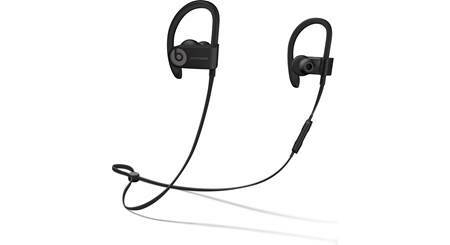 The wireless headphones are compliant with Bluetooth 4.2, and backward compatible with all devices with Bluetooth 1.1, 1.2, 2.0, 2.1, 3.0, 4.0, and 4.1. The headphones are compatible with the following profiles: Headset Profile 1.2 (HSP), Hands Free Profile 1.6 (HFP), Advanced Audio Distribution Profile 1.2 (A2DP), and Audio/Video Remote Control Profile 1.4 (AVRCP). The headphones can save the pairing information of up to 8 Bluetooth devices, including two simultaneously. aptX: Qualcomm's aptX audio coding delivers the same high-quality sound as a wired connection, with crisp, full stereo audio playback. Qualcomm's aptX Low Latency enables the headphones to deliver audio from portable video devices without a noticeable delay. You can enjoy videos and gaming with your portable device with high quality audio, in sync with the video. 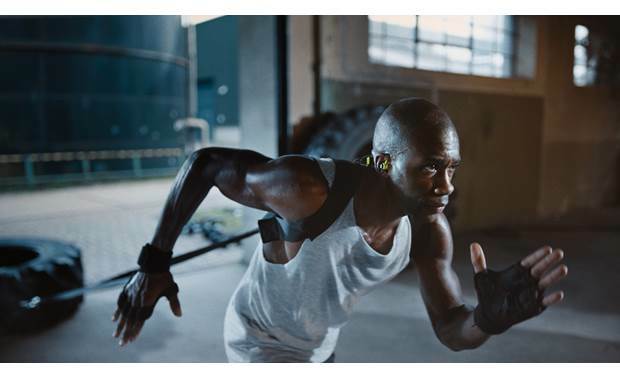 In-ear Fit: The CX Sport in-ear headphones include four pairs of silicone ear tips (XS, S, M, L) to assure you have a proper fit. 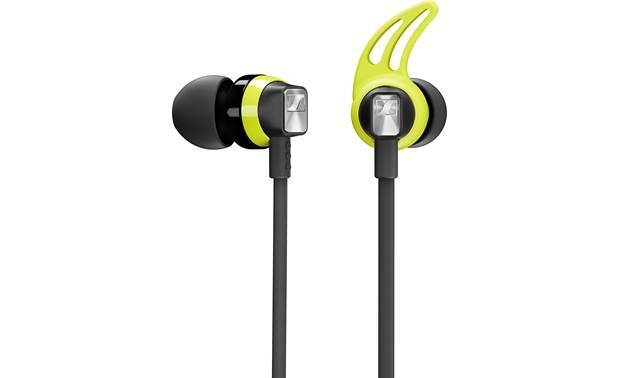 Three pairs (S, M, L) of bright, neon yellow ear fins help to keep the ear buds in place. 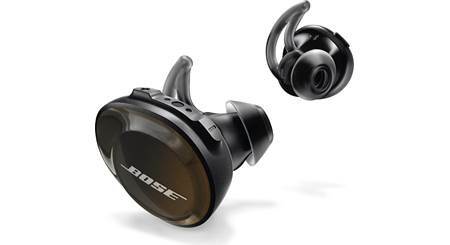 The fins tuck behind the folds of the outer ear to give you a solid fit. 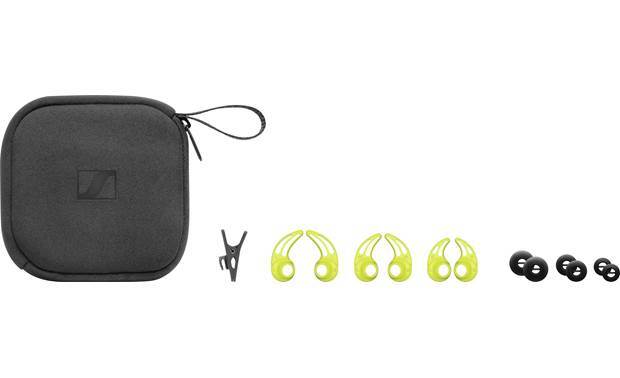 Battery: The headphones are equipped with a 3.7V, 100 mAh rechargeable Lithium-polymer battery. The battery charges in approximately 1-1/2 hours, providing up to 6 hours playback time. A 10-minute "quick charge" gives you up to 1 hour of battery life. You can check the remaining battery charge via the LED on the in-line remote. The battery life may also be displayed on the screen of your smartphone or device. Ear Bud Dimensions: Diameter 0.476", Depth 0.836"
Searches related to the Sennheiser CX SPORT In-ear wireless Bluetooth® sports headphones.